Spurrells Road Bridge is now open! 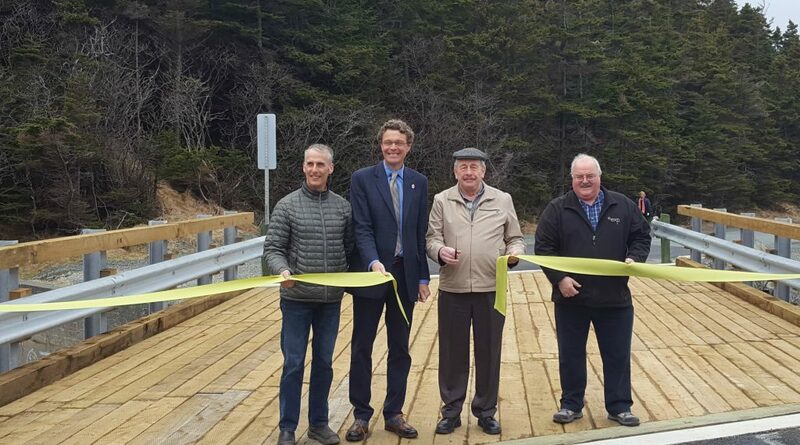 The new Spurrells Road Bridge was officially opened at 2 p.m. today. Present at the ribbon cutting ceremony was (L-R) Mike Sparrow (Pyrmaid), Deputy Mayor Gavin Will, Mayor Moses Tucker and Rick Appleby (Exp).